Although it’s been documented that Garry Winogrand was not a fan of the label “street photographer”, there is absolutely no doubt he was a master. His body of work speaks to this and will stand as a testament to it for all time. 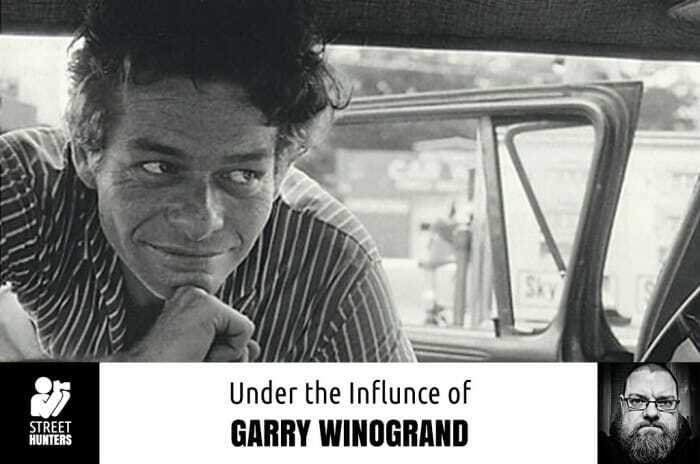 Winogrand considered himself simply a “photographer”. He didn’t attach any other adjective to the noun. But, and probably much to his dismay, we have to consider him one of the greatest street photographers of all time. And it can also be argued that he is the greatest ever. But photography or street photography is not a competition. It’s not about how many fantastic photos you produce, or how many exhibitions you have our how many books you publish. Photography, at it’s core is personal. It feeds a hunger to create. To document. To share. However, that being said, Winogrand not only satisfied his creative drive, but he did it in great volume and with great artistic vision and skill. The man was prolific and incredibly talented. 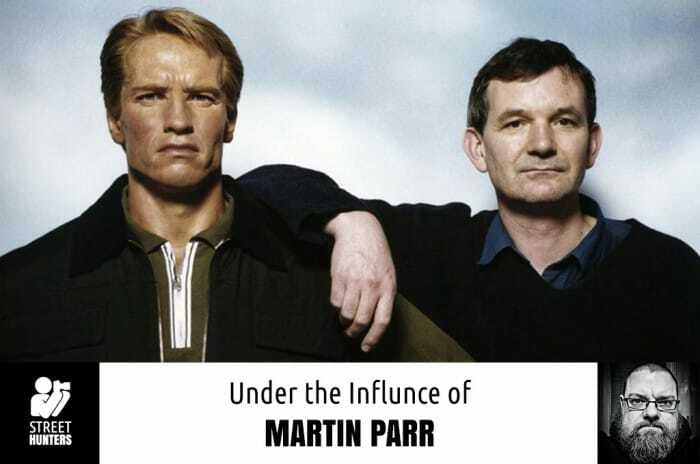 For this this third installment of Under The Influence, I’m taking a hack at one of the most polarizing active photographers today… Martin Parr. 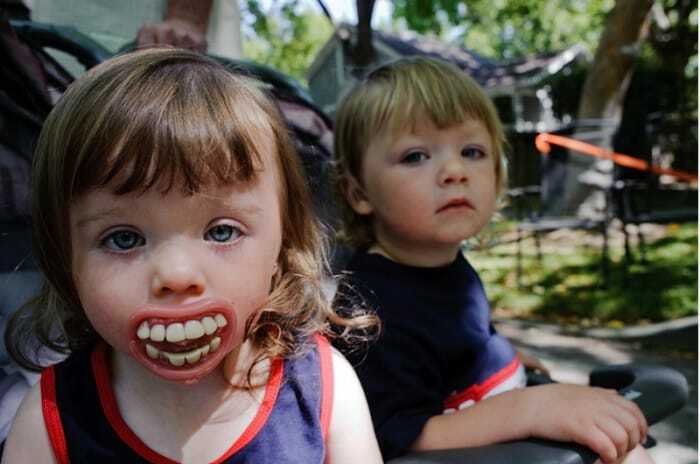 Parr is best described as a documentary photographer. His big splash was made in 1986 with the publication of The Last Resort, a project spotlighting British middle class vacationers at the New Brighton seaside resort. The Last Resort had a massive impact in the photography world, particularly the documentary genre, which I consider street photography to be an offspring of. The book made waves because of it’s subject matter. Opinions divided on whether it celebrated or ridiculed the common man. People were not depicted in the most flattering light. The backgrounds were not always flattering either, with rubbish about. But Parr’s work also made waves with his decision to use colour film for the project. Parr had worked in black and white previously,having a few books published, but The Last Resort marked his transition into colour, as he drew inspiration from greats like Joel Meyerowitz, William Eggleston and Stephen Shore. And what colour it was. Loud, garish, lurid all are terms that could be used to describe the colour used in his images. With his use of flash, coupled with cheap film, the colours were pushed to over-the-top levels of saturation. To me, the shots were made even more exploitive because of this. 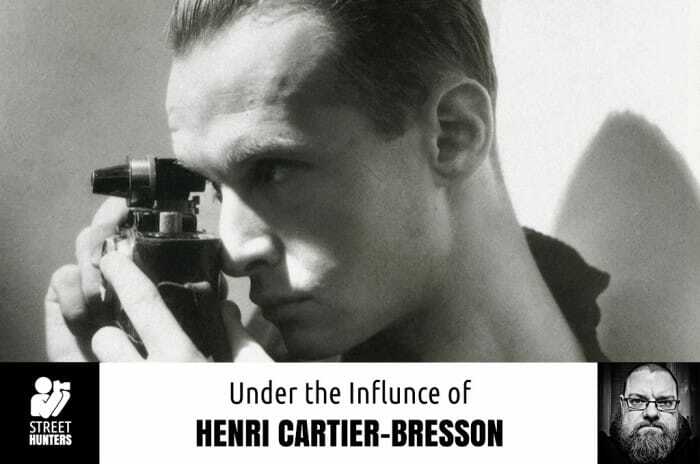 For the second installment of Under The Influence, I reluctantly choose Henri Cartier-Bresson as my subject. Why reluctantly? Simply put, his influence is far too massive. To single out one thing, one influence (which is the objective) seems nearly impossible. As photographers and admirers of street photography, we all know his name and the monumental impact of his work. 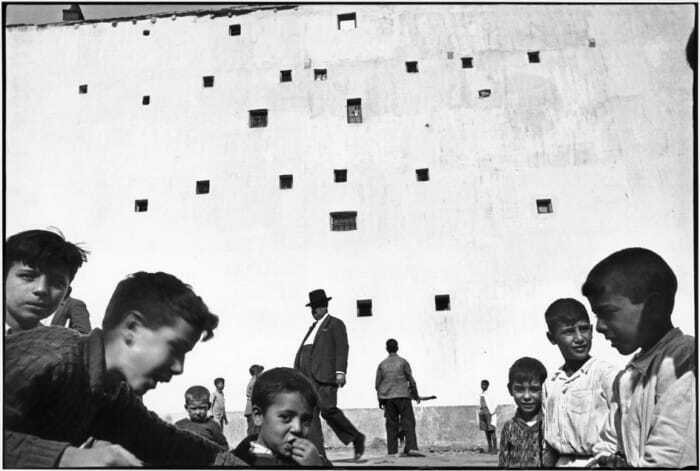 Calling Henri Cartier-Bresson a father of street photography is not a stretch. His images are simply iconic. As a co-founder of Magnum photos, his contribution to the world of photography expanded even more. To read his written work has helped scores to open their “mind’s eye” wide. I simplify his many achievements and contributions only because they’ve been expounded upon thousands, maybe millions of times before. Really, it’s quite safe to say his legacy will never be diminished. He is part of the foundation on which all street photographers tread upon. And, his name will always be referenced as one if the masters of the craft. As photographers, we’ve all been influenced by another photographer’s work. Their images stoked our creative fire. They spoke to us, awakening the very spirit that drives us to do what we do. Somewhere deep within us all, that spirit was buried until our eyes found their treasures. Then we found ourselves compelled. Compelled to pick up a camera for the first time. Compelled to try street photography. Compelled to emulate them. And then, and perhaps most importantly, compelled to create our own style. These titans of their craft gave us the greatest gift an artist can give… inspiration. This series is an homage to these great photographers. Some passed and some who still walk among us. With each artist, I’ll focus on one aspect of their work that has had a deep impact on me. 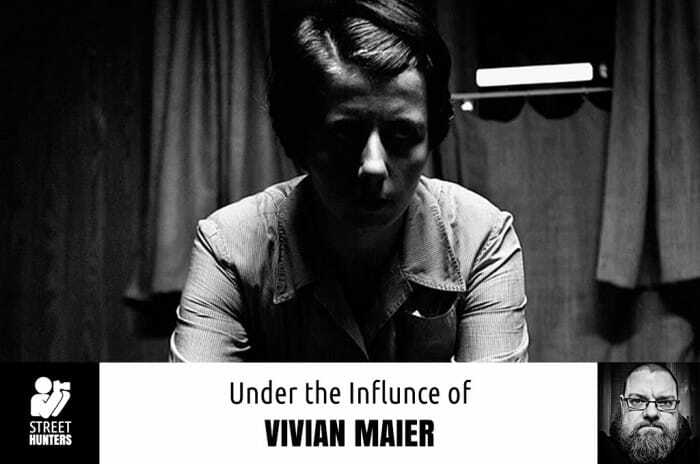 For the first installment, I present to you… Vivian Maier. What binds my choice of the ‘Famous Five’? p.s. In writing this I’ve realised my famous five doesn’t contain a female street photographer whom tickles me in the same way the chaps do…..do you have any suggestions? As someone who is new to street photography and photography my knowledge of the masters of street photography is extremely limited. I don’t own any books yet partly because I have spent all my money on equipment and partly because I live in a foreign country where it is not so easy to obtain them in my native language. Therefore all the information I have is what I have learnt from the internet and watching You Tube documentaries.